Two convicted criminals, one still serving time, have been awarded Queen's Diamond Jubilee medals on the recommendation of an MP who compares the anti-abortion activists to Martin Luther King Jr.
Two convicted criminals, one of them still serving time, have been awarded Queen's Diamond Jubilee medals by a Conservative MP. Linda Gibbons, a grandmother who has spent 10 years on and off in prison for violating injunctions in front of abortion clinics, and Mary Wagner, who is in jail in Toronto charged with mischief and breaching court orders at abortion clinics, have both received the special medals that commemorate the Queen's 60 years on the throne. 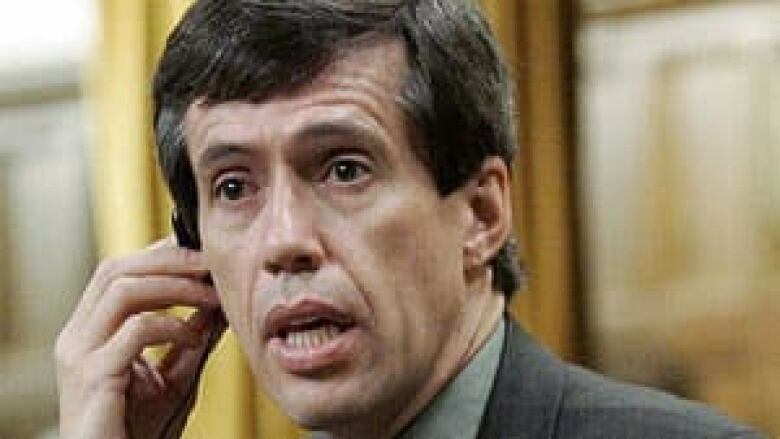 Both women were nominated by Conservative Saskatchewan MP Maurice Vellacott, who has compared them to the American civil rights icon Martin Luther King Jr. There will be 60,000 Queen's Diamond Jubilee medals handed out this year. The medals are bestowed through the Governor General's Chancellery of Honours office, which accepts nominations from partner organizations, including MPs, senators and provincial premiers. MPs are allowed to give out 30 medals each. When asked if having a criminal record or being incarcerated would be a bar to receiving a medal, the Governor General's office said in an email today, "All of the individuals and organizations who are partners of the medal program, including members of Parliament, are expected to establish their own selection process to nominate Canadians for the Queen Elizabeth II Diamond Jubilee Medal, and to choose responsibly." Justice Minister Rob Nicholson, at a press conference promoting tougher youth criminal justice laws, seemed genuinely stunned by a question about why criminals would be awarded commemorative medals. "I beg your pardon?" he responded. Nicholson was asked the question several times by reporters, but he refused to respond, saying only that his own allotment of medals have been handed out to victims of crime. Interim Liberal Leader Bob Rae said, "I don't think it's appropriate to be politicizing the Diamond Jubilee medals in this way. I think it's wrong and I think Mr. Vellacott should think about it. I think the government needs to be clear about what the guidelines are. We've had whole battles about awarding the Order of Canada to people who have had difficulties with the law." Vellacott responded in a statement to the media Tuesday. "Unlike the justice minister, Vellacott was unable to award these medals to the victims of crime, because these baby victims are dead, so instead the award to those 'heroines of humanity' Mary Wagner and Linda Gibbons who are trying to protect defenceless, voiceless human beings in the womb from butchery and death, and trying to let vulnerable women know that there are other options and support and adoption possibilities," Vellacott said in his statement. "It's what you would expect in a caring compassionate society." Vellacott continued, "It's a pretty upside down world when we honour abortionists like Henry Morgentaler for killing over 5,000 babies and imprison precious women, like Mary Wagner and Linda Gibbons, who try to save babies from such savagery. They are the real heroes of humanity!" Wagner is being held at the prison for women at Milton, Ont. and is awaiting trial for violating the terms of her probation. She was arrested in August for entering an abortion clinic in Toronto, after being arrested last November for entering another Toronto clinic where she had been arrested twice before. Gibbons has been arrested repeatedly for violating injunctions in front of clinics, and refuses to sign bail orders that would require her to agree to an injunction. Joanne Brownrigg of Campaign Life Coalition praised Vellacott for "creating heroes" by nominating the women and stressed their "quiet, prayerful nature." "We are grateful that these two meek, gentle, humble women [have been honoured]. You'd think with civil disobedience they'd be rowdy and aggressive — they're not. If you were introduced to them … they remind me of Mother Teresa, they're very humble." The anti-abortion movement wasn't always as peaceful as Brownrigg describes it. In the early '90s, when an injunction was first issued against Gibbons and others, a clinic in Toronto had just been firebombed. The following year in Vancouver, Dr. Garson Romalis, a gynecologist and obstetrician who had been picketed by anti-abortion protesters, was seriously wounded when he was shot through his kitchen window.